• Swallowing may hurt, and salivary glands may be affected in case of a serious infection. Left untreated, the pain will eventually spread, as will the infection, and you will soon be left unable to utilize that particular portion of the mouth. Even after fixing the root canal, it takes time for the pain to go away. While there will be no more black teeth and foul smell, the pain, swelling and sensitivity after root canal pain treatment would be there. Normally, the recovery time is three to five days after the end of the treatment. Root canal treatment is used to save a badly decayed tooth and repair it so that it does not cause problems during daily life activities. It involves taking out the nerve and the pulp to prevent any future infection and further pain. This drastic measure is also useful in preventing abscesses from forming and in saving the surrounding tissues. An abscess, which is a hole through which the infection spreads to other parts of the face, can be pretty dangerous. After all, a tooth nerve is not really important, only there will be no further sensation in the tooth. The inside of the particular tooth is then cleaned and sealed. Not all root canal treatments can be done over the course of a single sitting. In case of a severe infection, a dentist may as well choose to use a temporary filling in order to prevent the saliva and bacteria from getting in and causing further infection. You will then be asked to come back a few days later. 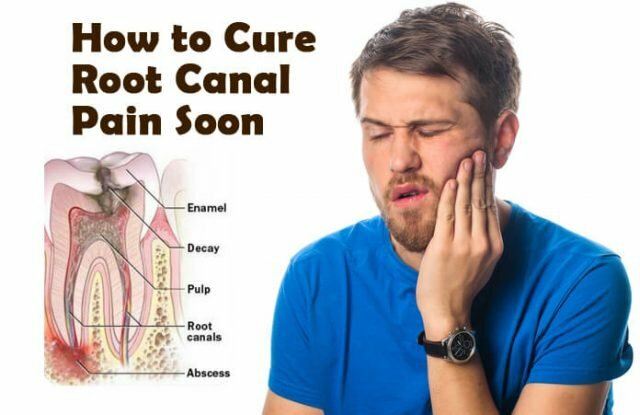 While this partial root canal is more painful and troubling it is necessary nevertheless, and dental care is crucial during this time and you should follow proper instructions and medications. Here are some of the best home remedies through which you can reduce pain both during and after your surgery. Salt is there to the rescue for most of the common problems, and root canal pain is one of them. All you need to do is to add a tablespoon of salt to a glass of water, stir the solution and then rinse your mouth with it. For the best effects, keep the water around the root canal for a few minutes by gargling it. You can also take a little bit of the salt and lightly put around the affected area to relieve pain. This is one of the oldest and best methods for post root canal treatment pain relief. All you need to do is to wrap a few cubes of ice with a clean piece of cloth and put the thing on your face over the affected area. Keep it for 5 minutes, and in case there is no relief from pain, then extend it to 15 minutes. Do this 3-4 times during the day. But keep in mind not to apply the ice directly to the tooth. This is another old and simple remedy for getting rid of oral problems. Dissolve a tablespoon of salt in a glass of warm water and gargle with it two or three times daily. Remember grandma’s advice of keeping your mouth shut and avoiding water for a few minutes after gargling. This is something we have been using since childhood to get rid of any kind of teeth pain. 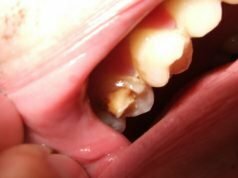 What helps is putting a clove near the affected tooth and sucking it as long as you can. Putting a few drops of clove oil and massaging your gums very lightly with it too is a good idea. You can also make a paste with water and grounded cloves and apply it on the aching tooth and gums. However, remember not to overdose by using many cloves over extended periods of time as that can be actually harmful to your teeth. Both onion and garlic are effective in their own ways against toothaches and you can use them together to get rid of it, even if you find the pungent smell a bit intimidating. Mix the juices of both of these by crushing them together. Now apply a drop of that on the affected tooth. Drinking it is a good idea as well. Chewing them together too is helpful if you are comfortable with it. Then you can have some honey to get rid of nausea. You can also use these separately. Place a piece of freshly cut onion or a clove of smashed garlic on the affected tooth and allow the juice to seep in. These are excellent antibacterial agents and will thus help in preventing infection. This is very good at relieving pain from root canals. 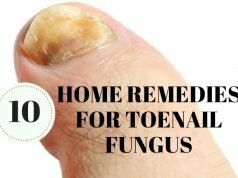 Add 3-4 drops of it in warm water and gargle with it 3-4 times daily. It will make the pain go away. However, remember that tea tree oil is not good for the stomach. So you should avoid ingesting it. And also never use it in an undiluted form. Cucumber is a very good natural remedy against all kinds of pain, and is also a good soothing agent as it does away with excess heat. And it tastes nice to the boot. All you need to do is to place a slice of it on the tooth inside your mouth. Let the juices gradually seep in. Repeat if required. Apart from being a good pain reliever, potato is good at preventing the growth of bacteria. To get relief from tooth canal pain, put a slice of freshly cut potato on the affected tooth and allow the juices to seep into the tooth. Keep it on for as long as you are comfortable and replace the piece from time to time. Hydrogen peroxide is bitter to taste, but it is great for relieving pain. Swish your mouth with it for the purpose, and dilute it if you feel that you can’t handle the bitterness. However, take care to use only food grade hydrogen peroxide for the purpose. Though you have seen at least a billion of anti-tobacco public health notices by now, don’t forget that tobacco is very good at fighting bacteria. So you can easily use it for the purposes of getting relief from root canal pain and preventing infection. Take in some tobacco in your mouth and chew it by applying a lot of saliva till you start tasting the menthol. Then add a little bit of warm water and swish it in your mouth for a few minutes. Spit the thing out and wait for a few more minutes before cleansing your mouth with some clean water. Thanks to its acidic properties, vinegar, whether it be normal vinegar which you use for cooking, or apple cider vinegar, is great at killing bacteria. It also helps to stop pain. Just soak a ball of clean cotton in the vinegar and place it over the affected tooth. Keep it on for at least fifteen minutes. Repeat for the treatment to be more effective. Baking soda is very good at dealing with the tenderness after root canal treatment. Soak a clean ball of cotton in water. Squeeze it to do away with the extra water. Then coat the soaked ball with baking soda and apply it on the affected tooth. You can also make a mouthwash of your own by adding some water with a little baking soda. Swish your mouth with this. Repeat the process twice or thrice daily till there is pain relief. Instead of throwing away the tea bags once you have prepared your tea put it on the aching tooth. The juice from the leaves seeping down to your tooth would really help you by making the area numb for some time. Repeat the process a few times over the day to get some real pain relief. However, take care that the bag does not become cold, or gets torn or open from anywhere. Raw butter, or even very yellow butter for that matter, works wonders when it comes to relieving toothache thanks to the high protein content. As it is mostly soft it is also very easy to use. Just eat it as much as you can after you get your root canal treatment done. Eating raw beef like steak tartar and raw fish like sashimi is also a good idea due to their high protein content. Plantain is a good herbal remedy to get rid of a toothache. Just take up a few plantain leaves and chew them. In case you are too sore to do so, chew the leaves with the teeth from the other side of your mouth and drink water in sips to allow the juice to come and seep down to the tooth with the canal treatment. You can also make a paste by crushing a few of the leaves and adding a few droplets of water to it. Apply this over the affected area. Repeat this twice or thrice daily to get good pain relief. • Take the medicines prescribed prior to the actual treatment. • Try to calm your mind and not think of the procedure. • Rush to the doctor in case of an emergency or extreme pain. • Your regular brush is okay. Just keep it clean. • Get radiography done in case of fractured or discolored teeth as they are symptomatic of many other things. • Visit the dentist or endodontist in case your teeth start wearing out. • Always make it a point to get the best radiography before proceeding with any of the dental treatment procedures. • Seek regular medical advice even if there are no visible problems. • Remove any food pieces left in your mouth after eating as they become breeding grounds for bacteria. • Brushing after having food twice a day prevents many tooth problems. • Eat healthy food with a lot of calcium in it to avoid dental complications. • Do not skip the medicines at any cost. Not only you will end up complicating matters, you will also risk making further treatment ineffective. • Do not have very hot or cold beverages before, during and after treatment. • Keep your tongue off the root canal, however tempting it might be. • Avoid sharp objects like toothpicks while you are on with the treatment. • Do not overlook injuries, however small they might be. • Do not have hard food. Go for soft food items instead. • Do not have food for some hours before, during and after the treatment. Prepare yourself accordingly.